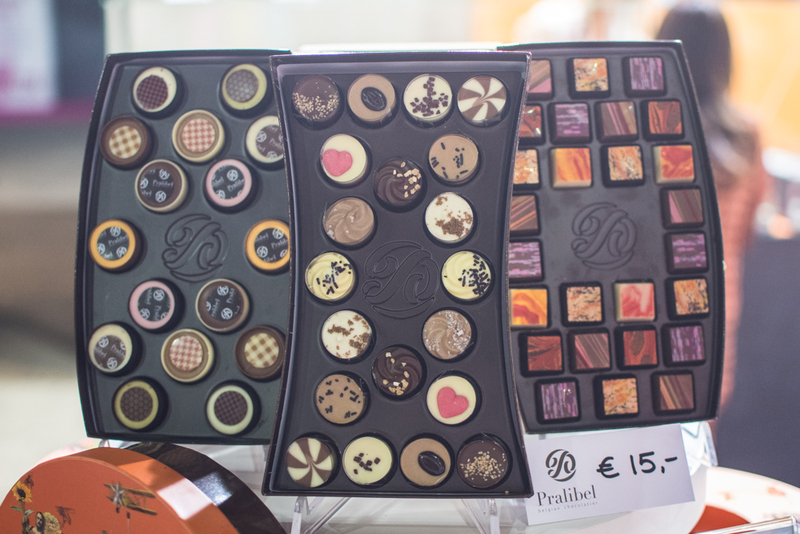 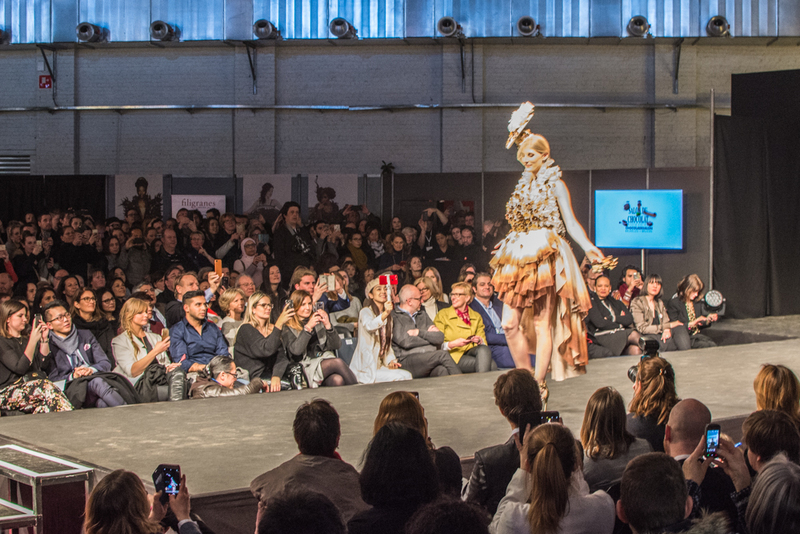 The fifth year of the Brussels Chocolate Fair known in French as Salon du Chocolat took place between 2nd – 4th March 2018 in the premises of Tour & Taxis. 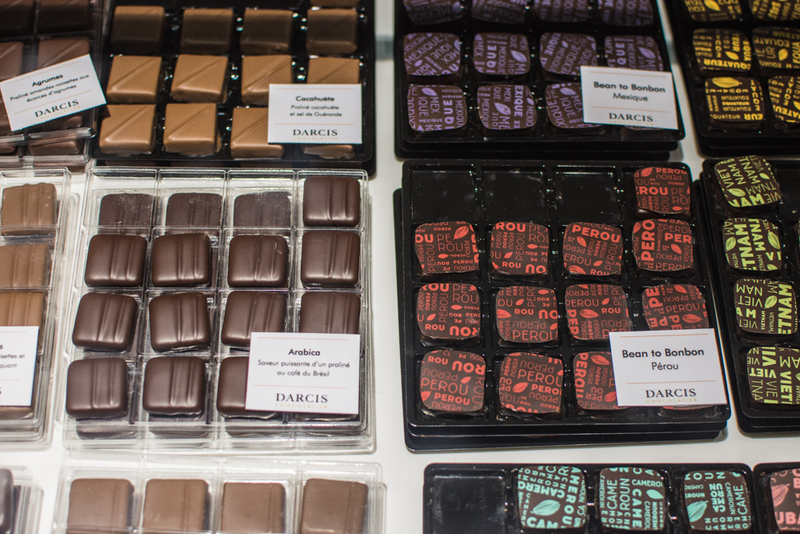 Just imagine a surface of 8,000 m2 devoted only to chocolate and cacao, sounds like a dream, right? 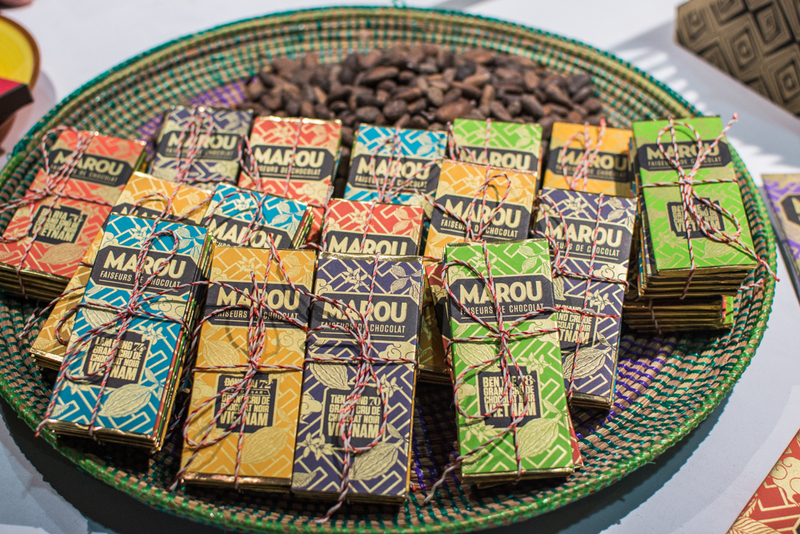 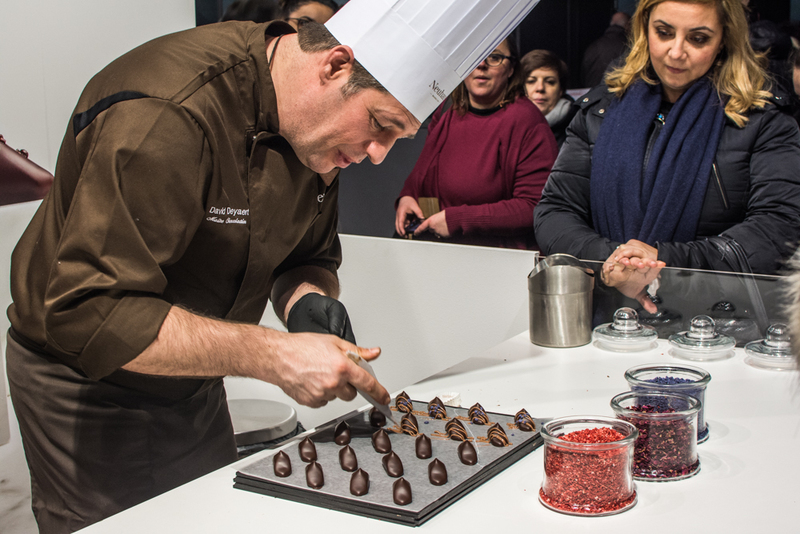 This years’ edition welcomed more than 130 participants including chocolatiers, cocoa experts, and pastry chefs. 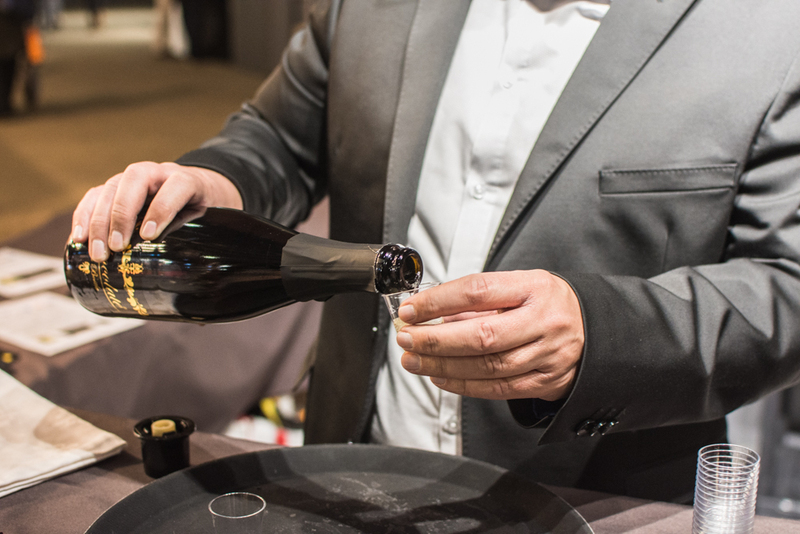 About 25,000 visitors could enjoy delicious and festive programme including degustations, demonstrations, workshops or conferences. 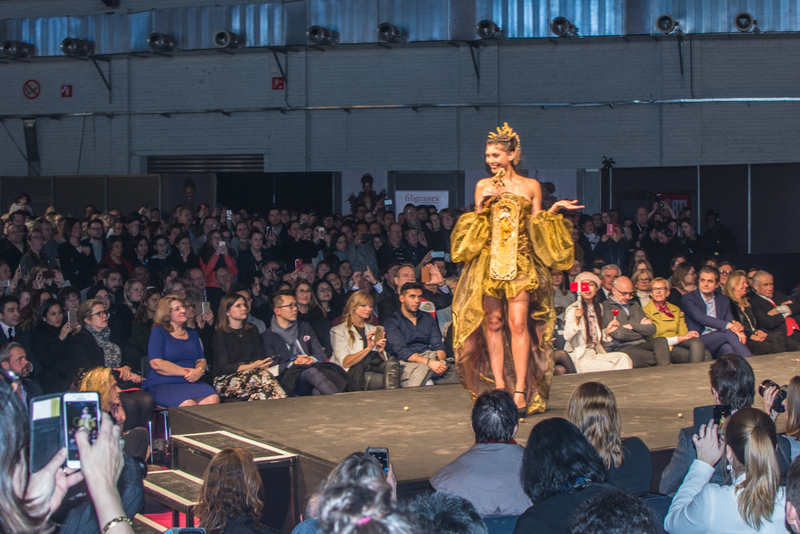 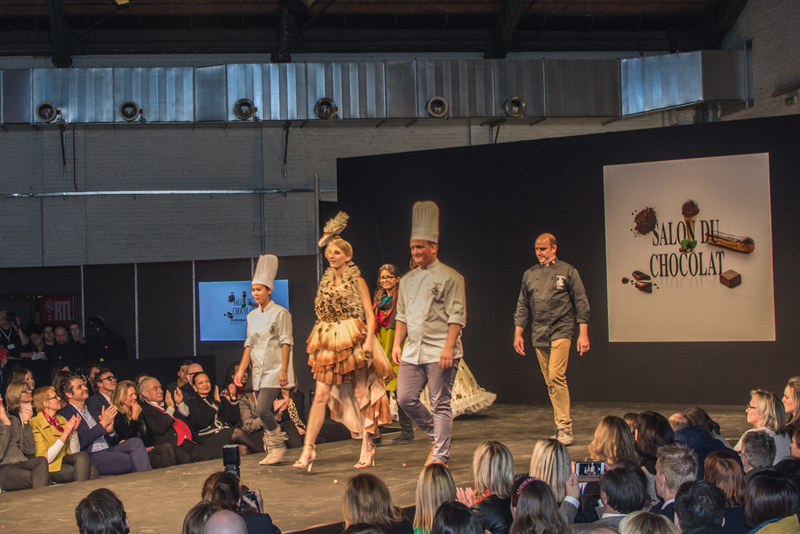 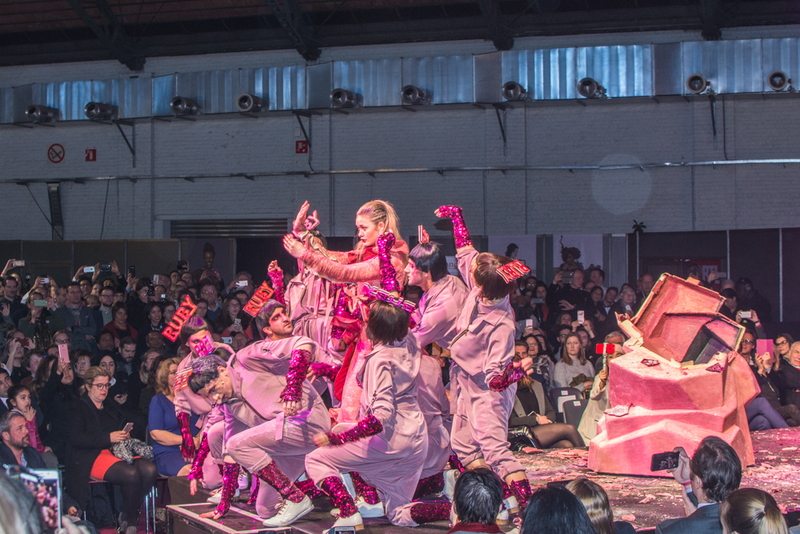 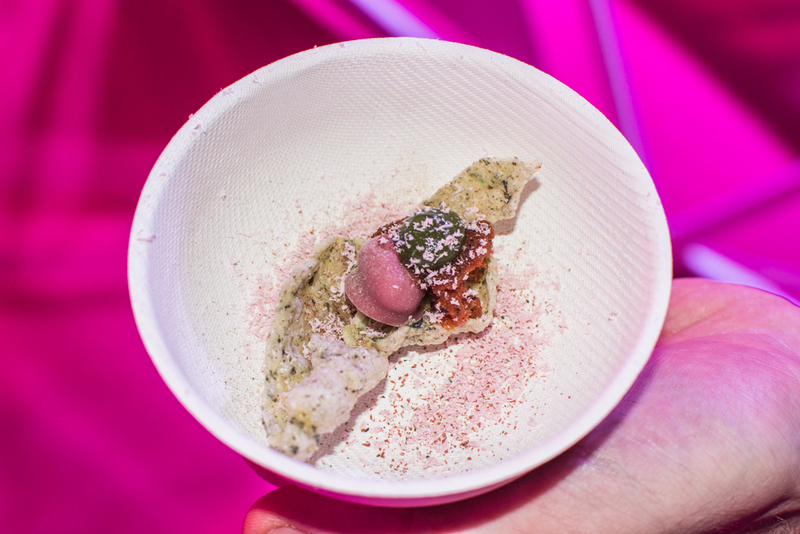 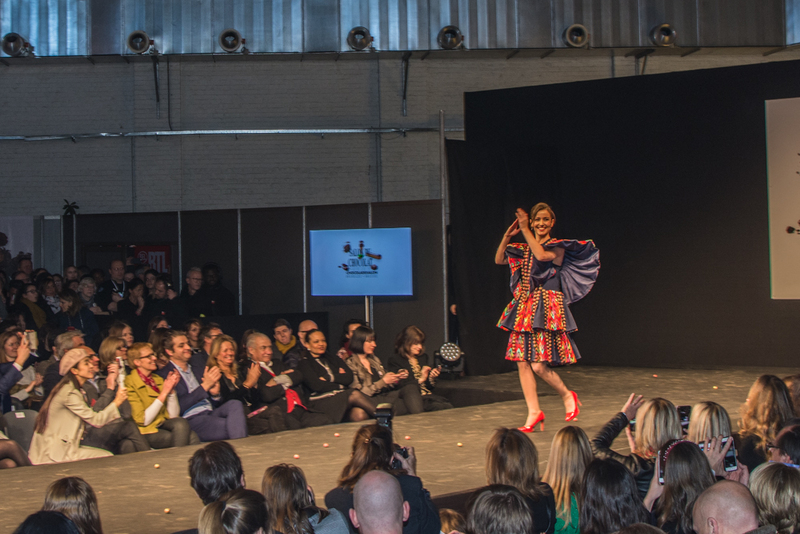 The theme of this years’ edition was “Chocolate & Cocoa: The Great Adventure” which celebrated the creativity and passion of an entire profession. 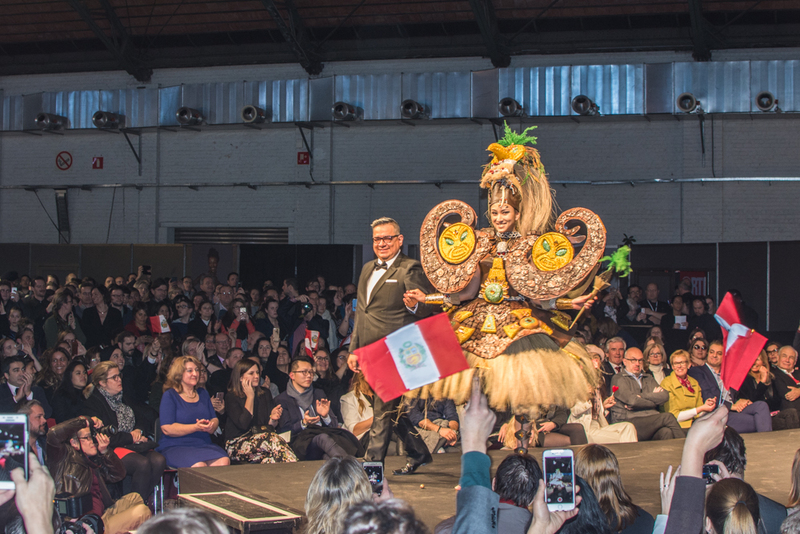 The guest of honor of this year’s Brussels Chocolate Fair was Peru, a country that has been successfully transforming from the coca culture to the cocoa culture. 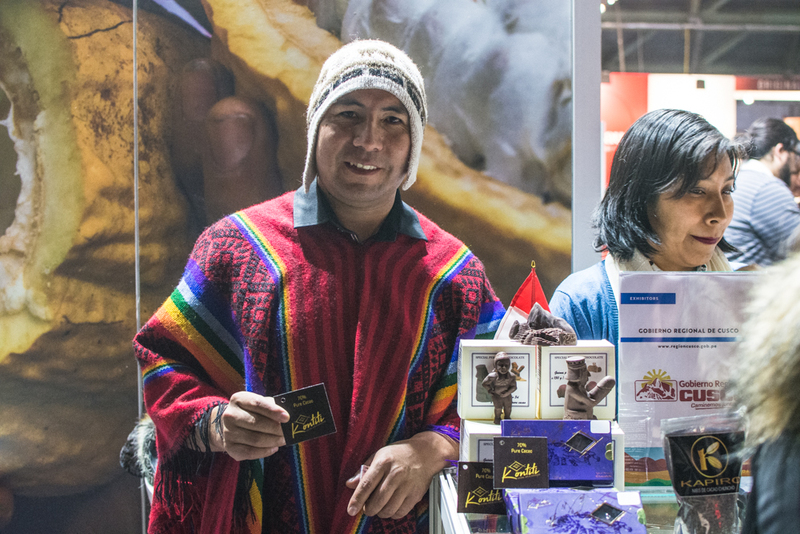 The Peruvian stand presented colorful chocolate bars and cocoa beans of various aromas. 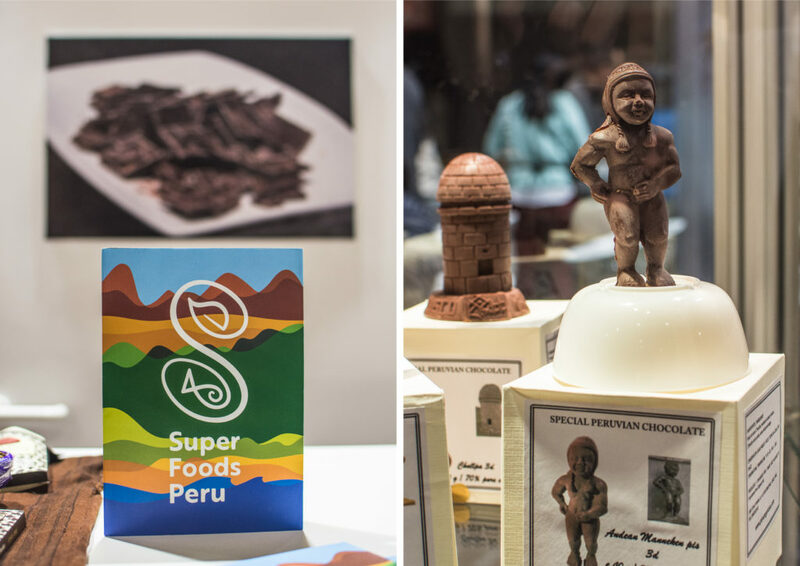 Very interesting were also the chocolate figurines of Machu Picchu or the Andean Manneken Pis made by Kontiti. 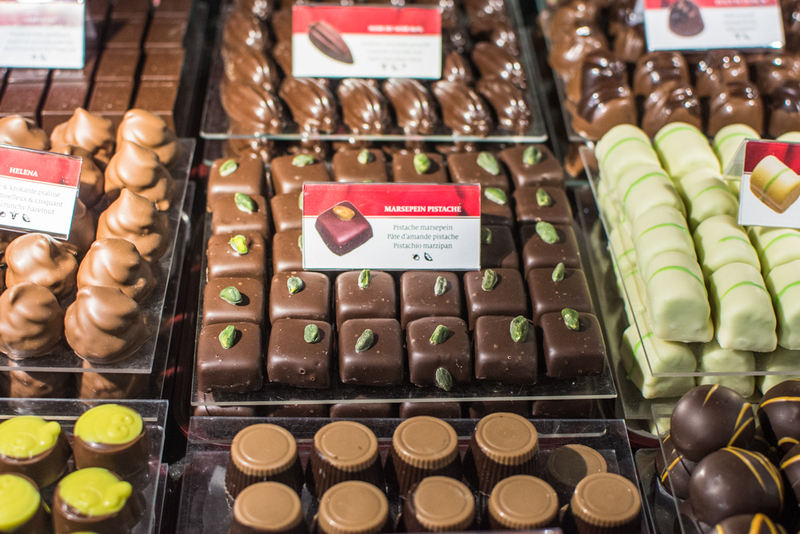 The well-known Belgian brands such as Neuhaus, Leonidas, Valentino or Pralibel took the opportunity to introduce their new pralines. 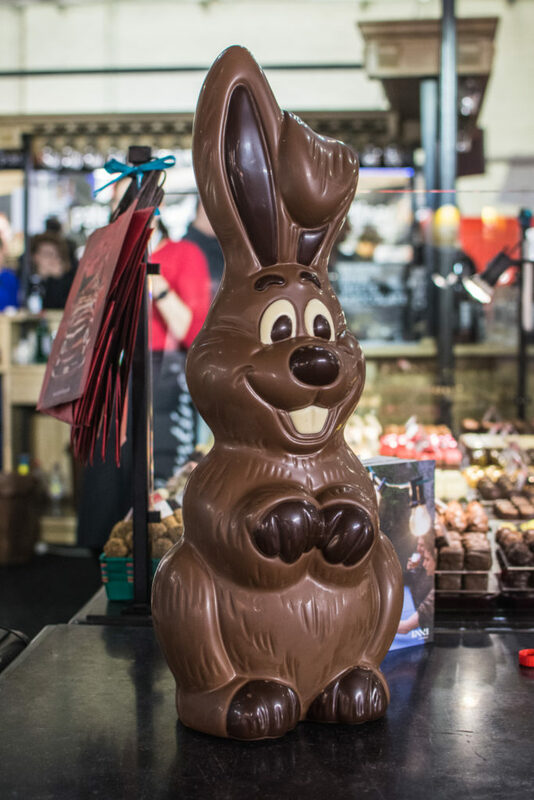 The stand of Leonidas with a rainbow of their Easter eggs could not stay unnoticed. 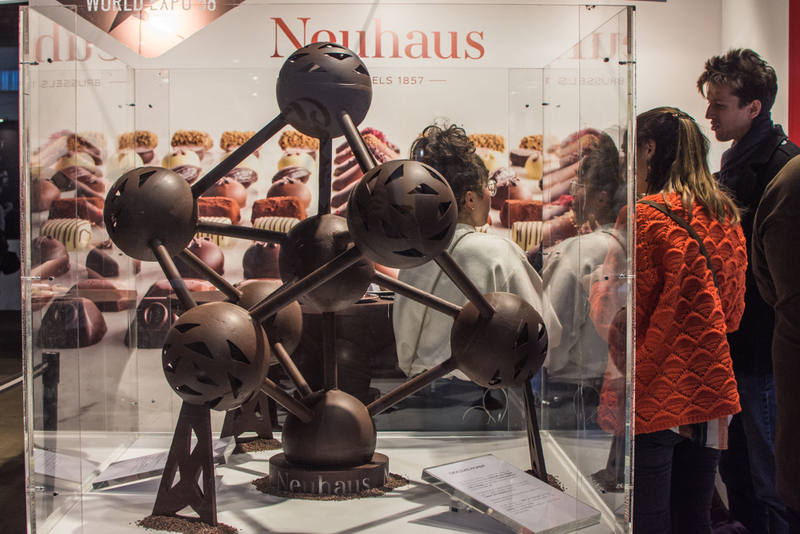 Neuhaus tempted visitors with a degustation of their handmade pralines Irrésistibles which were being made right in front of the visitors’ eyes. 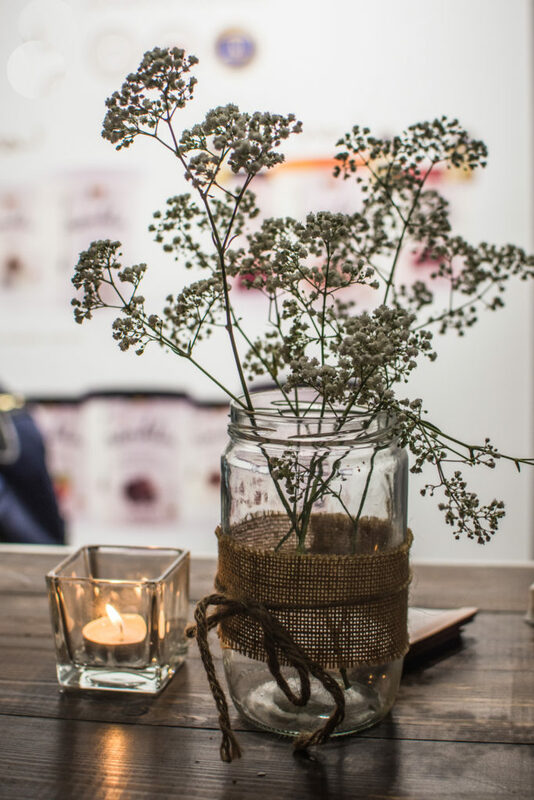 Those who were thirsty could stop by at the bar of Duvel where a degustation of special beers in harmony with pralines by Jitsk Chocolates happened. 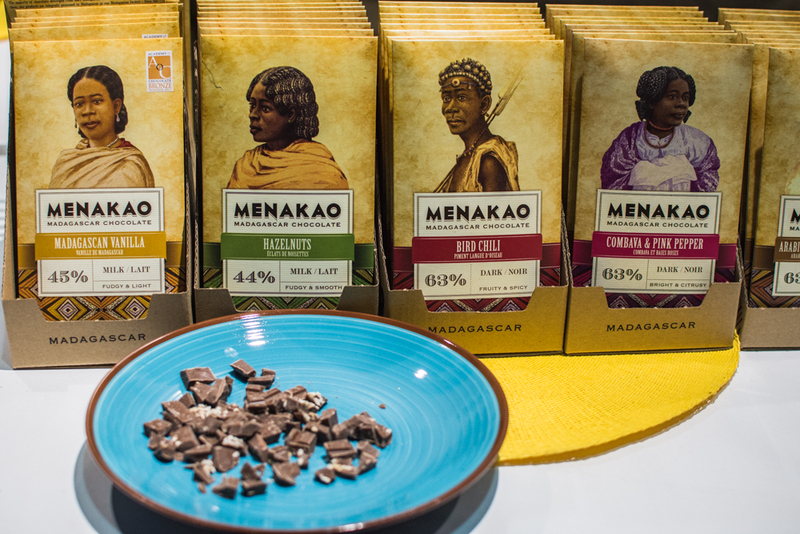 A few steps further, Masalto demonstrated the marriage of coffee and chocolate. 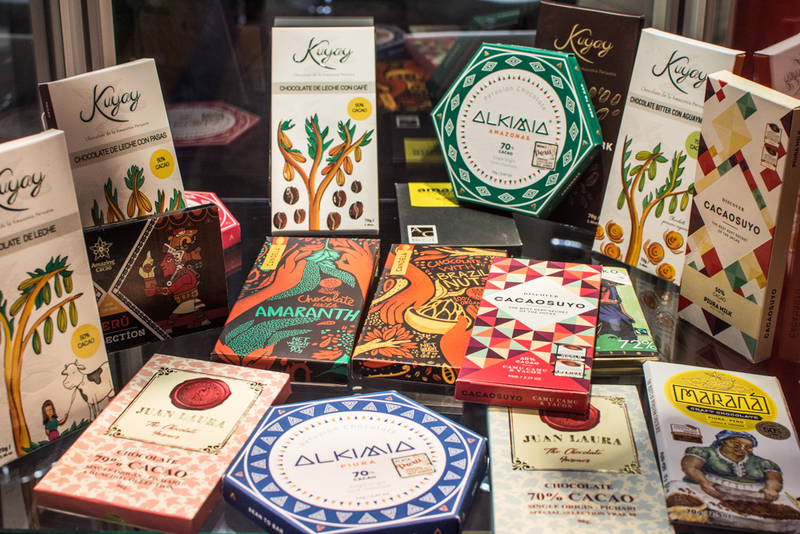 I also got a box of chocolates from a small artisan producer Chocolate Factory from Rixensart who had some interesting flavors. 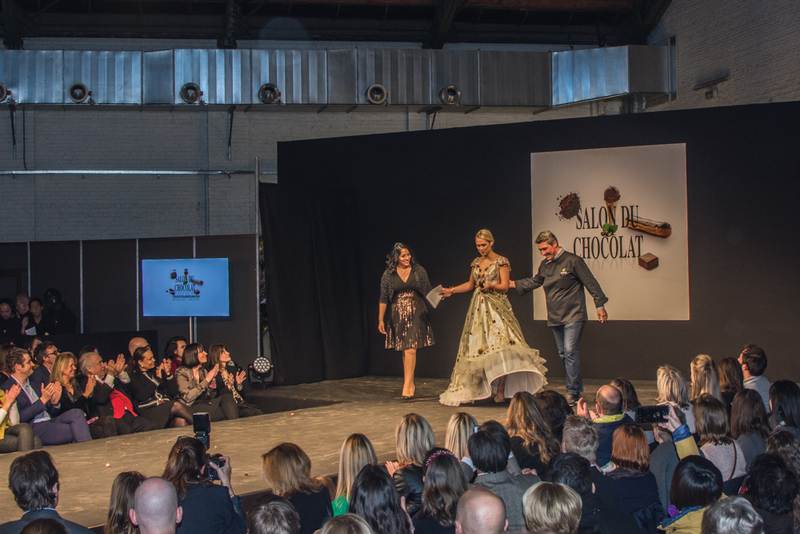 A very successful part of the Brussels Chocolate Fair this year was again the fashion show presenting dresses made of chocolate, created by duos of chocolate masters and fashion designers such as for example Choco-Story Brussels & Bodart, Valentino Chocolatier & Sixtine Anne de Molina or Jean-Philippe Darcis & Debora Velasquez. 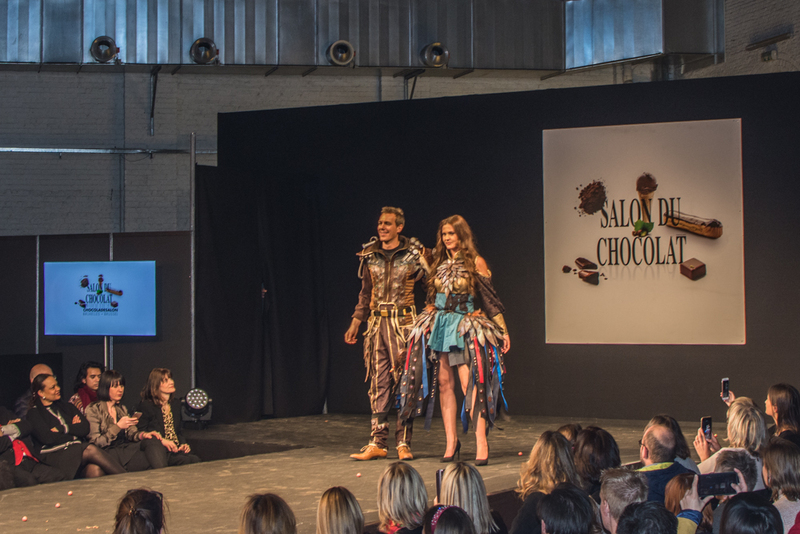 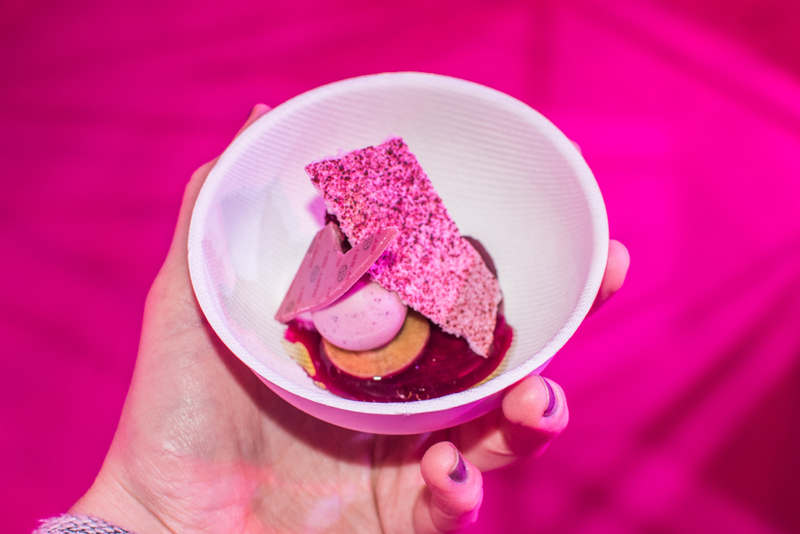 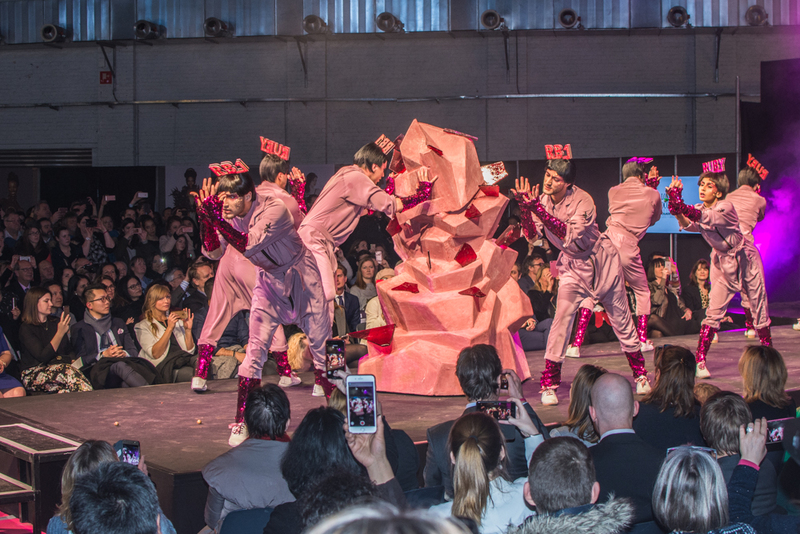 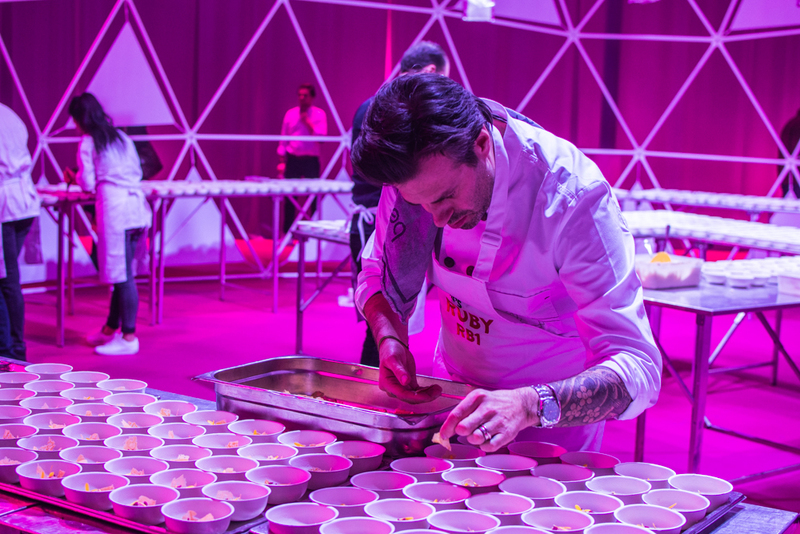 During the event, Callebaut introduced their fourth sort of chocolate RUBY RB1 with a special choreograph evoking its color and flavor. 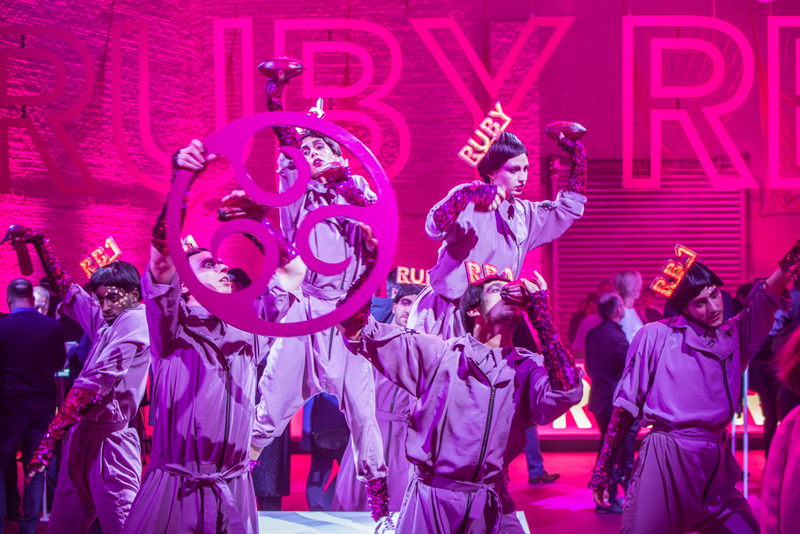 Ruby is destined to artisans and will be available in Belgium as from April. 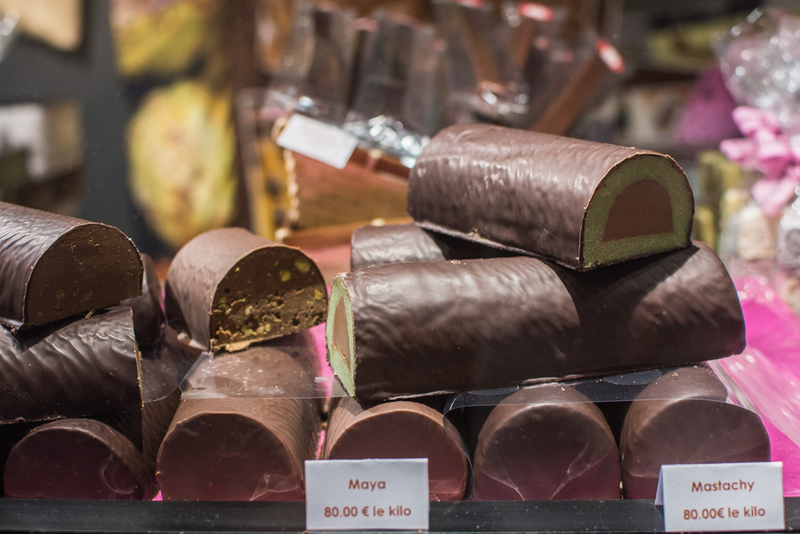 You can find more information including dates and prices on the official website of the Salon du Chocolat. 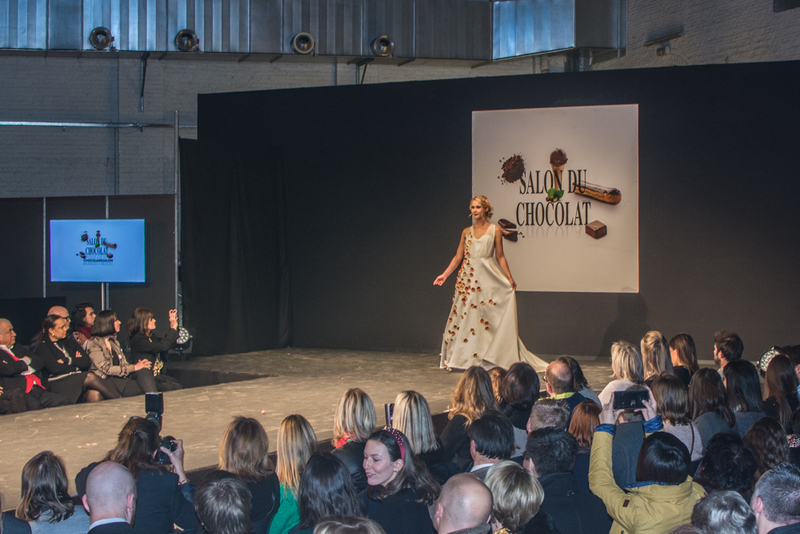 Chocolate , wine , and fashion , my three favourite things and my weakness. 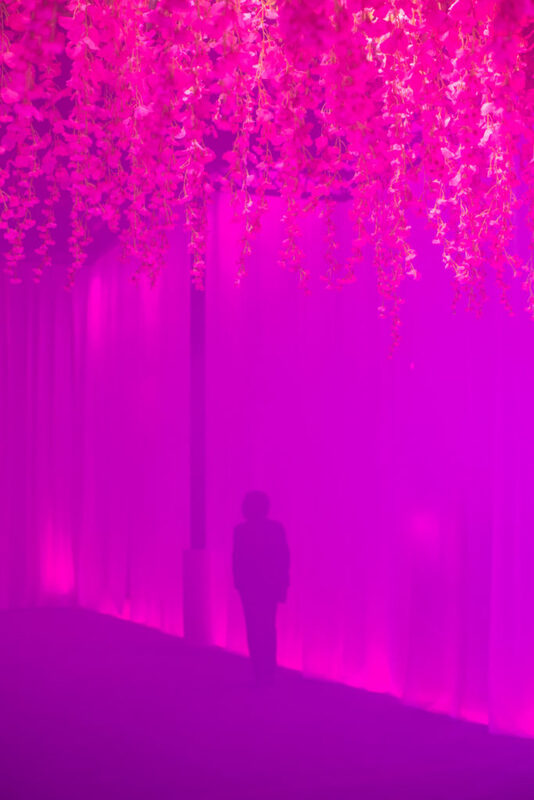 Thanks for bringing me down the rabbit hole again. 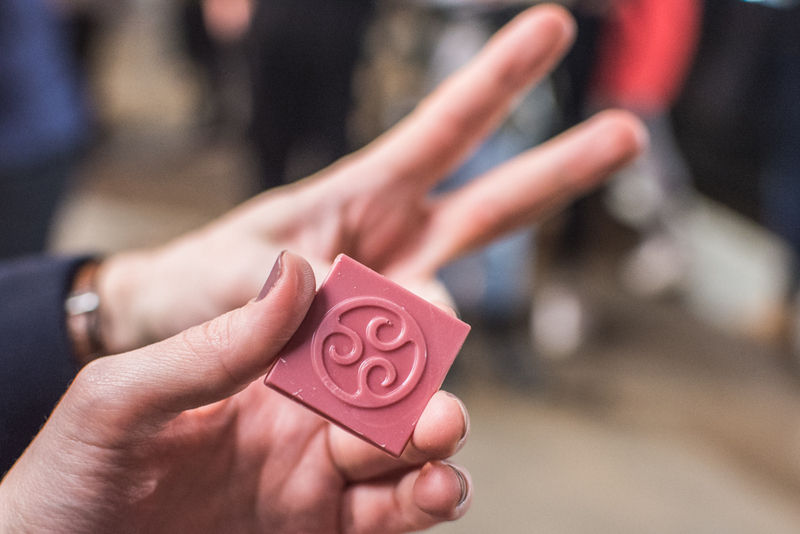 lol great article . 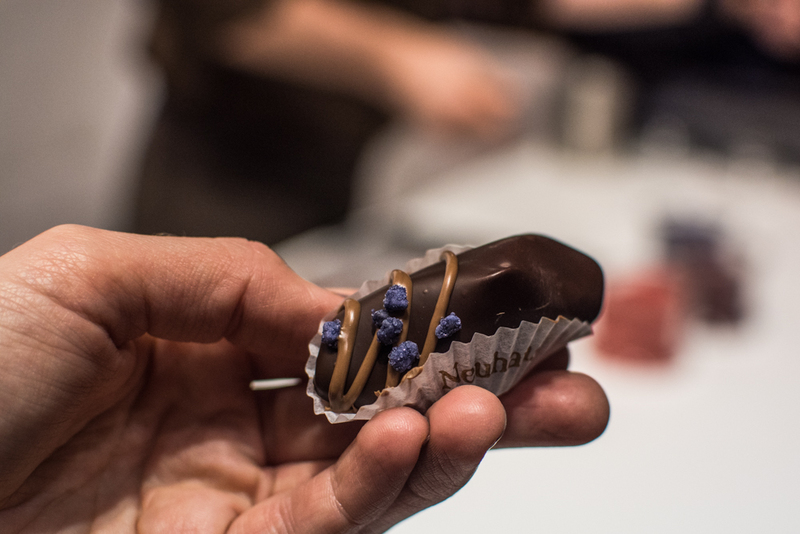 This looks absolutely amazing! 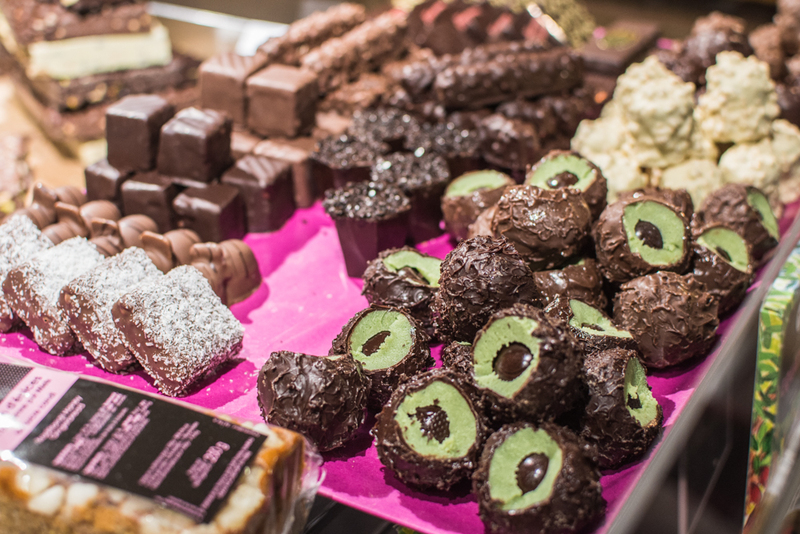 I LOVE chocolate and maybe drooling as I look at your pictures. 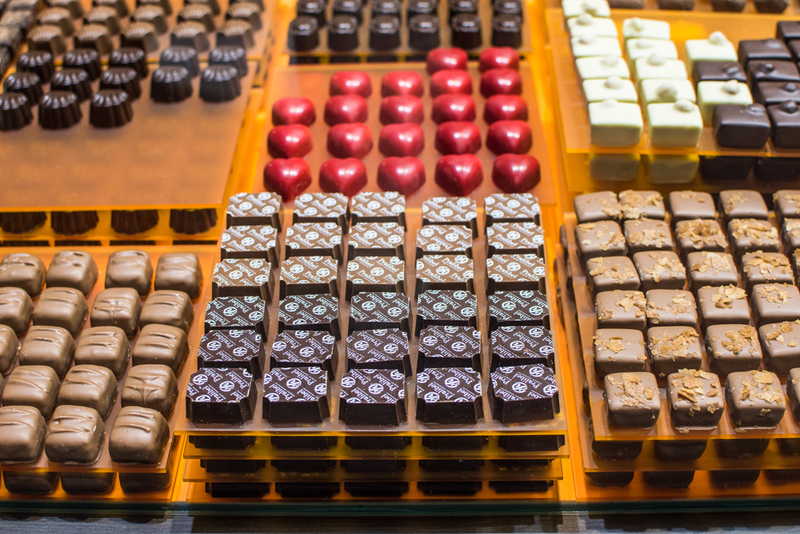 I remember getting some Leonidas chocolates long ago, and they were fabulous.